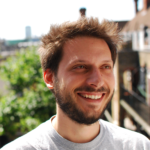 Over the last few lessons, you learnt everything you need to use Italian verbs in the present tense. Prefersici il vino bianco o il vino rosso? = Do you prefer white wine or red wine? Preferite il vino bianco o il vino rosso? = do you all/both prefer white wine or red wine? K: Over the last few lessons (lessons 39 to 43), you’ve been learning how to use Italian verbs in the present tense. 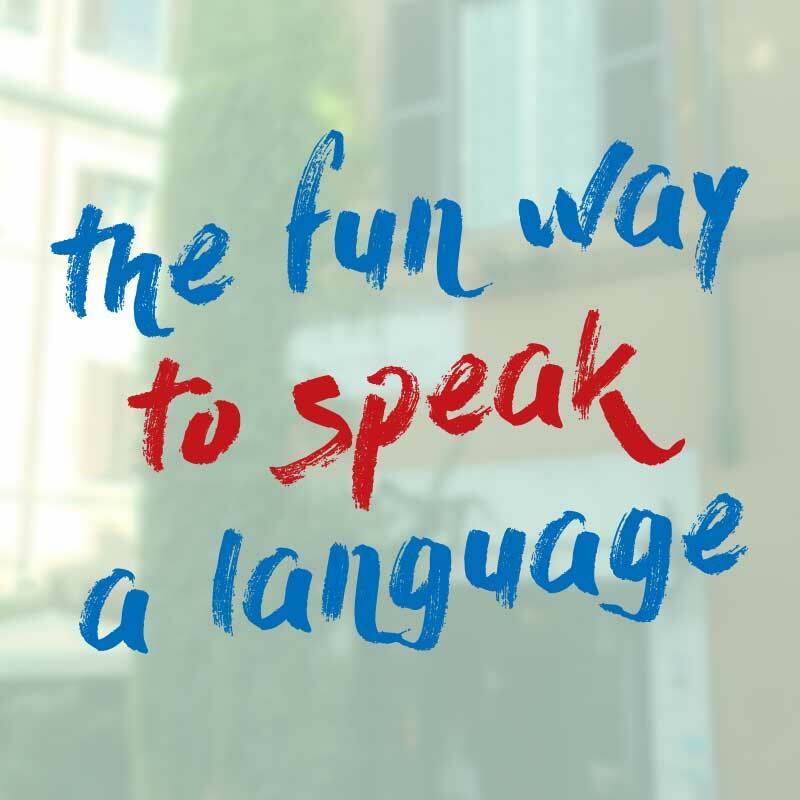 Today, we’re going to do a review of all these lessons so you can practice what you learnt and use what you know to say useful sentences in Italian. This episode is going to be longer than the normal episodes because – what kind of complete guide would it be if it was only 5 minutes? 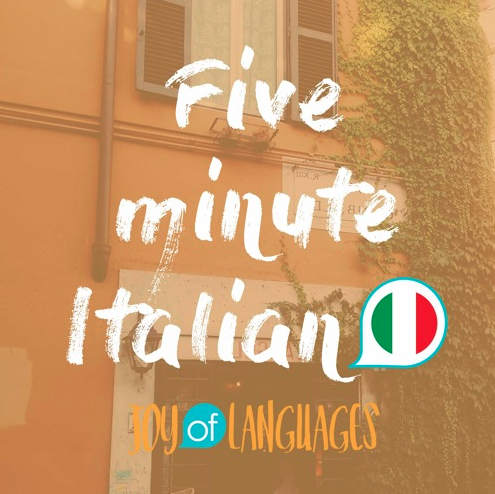 We wanted to go into more depth in this episode so that by the end, you’ll have all the information you need to use regular Italian verbs in the present tense. K: First, verbs that end in -are, like parlare (to speak). Second, verbs that end in -ere, like scrivere (to write) and third, verbs that end in -ire, like dormire (to sleep). The 4th kind is verbs like capire which also end in -ire, which follow their own rules. If you feel like you need a little refresher on these 4 groups, you can go back and listen to episodes 39 to 43 before coming back for this review. M: But if that’s all clear, let’s get started. K: Let’s forget about the 4th group for now, we’ll come back to that later. For now, let’s talk about the normal -are, -ere and -ire verbs. Let’s imagine we want to say something with “I” as in “I speak”, “I write” or “I sleep”. What do we do? M: Remove the -are, -ire or -ere from the ending and add “o”. K: So if pagare means “to pay”, how would you say I pay? M: Pago. Remove the -are and add “o”. Pago. K: To take is “prendere”. How would you say “I take”? K: And Italians don’t have a coffee, they “take a coffee”. To say “I’ll have a coffee” in Italian, we literally say, “I take a coffee – un caffè” How would you say that? M: Apro. Remove the -ire and add “o”. Apro. K: We pay for the coffee? Remember Italians don’t use “for” with pagare, so it would literally be “we pay the coffee”. We pay il caffè. K: And just as a side note, if you’re reading the show notes, you might notice a “h” in the spelling of this word. Paghiamo is spelt: p – a – g – h – i – a – m – o.
M: The “h” is there for a good reason. In Italian, whenever you have the letter “g” followed by the letter “i”, it’s pronounced as a soft “g” sound. Like the “gi” in the name Luigi. M: Prendiamo. Remove the -ire and add “iamo”. Prendiamo. K: And we know to make suggestions, we just use the “we form” with a suggestion tone. So how would you way “let’s have a coffee?” literally: “we take a coffee”. K: Let’s open the wine? Literally, “we open the wine”. K: To get the “you” form, we just remove the -are, -ere and -ire and add an “i” sound. Let’s go back to pagare, to pay. How would you say “you pay”? K: And here again, if you’re looking at the spelling in the notes, you’ll see a “h” after the letter g, which helps us keep the hard “h”. M: Yes, without the h, it’d be pronounced as pagi, which we don’t want. M: Prendi. Remove the -ere and add an “i” sound. Prendi. K: Now how would you ask your friend, are you having a coffee? Literally, you take a coffee? M: Apri. Remove the -ire and add an “i” sound. Apri. K: And how would you say “are you opening the wine?” literally you open the wine? K: Just another little note about spelling here. We’ve been talking about the “ee” sound as in paghi, prendi and apri. In Italian, this “ee” sound is actually represented by the letter “I”. Just like in the name Luigi. The last letter is an “I” but it’s pronounced as “ee”. Whenever you see the letter “i” you know it’s pronounced as “ee”. And you can look in the show notes if you’re interested in seeing the spelling of today’s words. K: So we’ve talked about the I, the We and the you forms, which are the same for -are, -ire and -ere regular verbs. The other forms are slightly different. Next, let’s look at the “he” and “she” form, as in “he sleeps” or “she sleeps”. We’ve also got the formal “you”, that Italians use with people they don’t know very well. The good news is, these three forms, the “he”, the “she” and the formal “you” are all the same in Italian. M: To get the he/she form, for -are verbs like pagare just remove the -re from the end. M: Paga. Remove the -re from pagare. Paga. K: And “you pay”, if you’re speaking to someone you don’t know, like a receptionist? M Prende. Remove the -re from prendere. Prende. K: And how would you say: “he’s having a coffee?” literally, he takes un caffè. K: And if you wanted to say “are you having a coffee?” in the formal form, for example to a colleague you don’t know very well? Remember in Italian form, questions are easy, you just say “you have a coffee?” with question intonation. K: To get the he/she form for -ire verbs, like aprire, we can’t just remove the -re, because then we’d be left with apri with the “i” ending. But we already know this means “you open”. So we “borrow” the he/she form of the -ere verbs. So to say “he/she opens”, we remove the “re” but instead of an “i” sound, we add an “e” sound. M: Apre. Remove the -re and change “i” to “e”. K: How would you say he is opening the wine? Literally “he opens the wine”. K: She opens the wine? K: Are you opening the wine? In the formal form, to someone you don’t know very well? K: Next, the plural “you”. We know Italian has a plural you form, as in “you all” or “you both” do something. To get this form, it’s simple. Just change the “r” to a “t”. Let’s go back to, pagare, to pay. How would you say “you all or you both pay”? M: Pagate: Change the “r” in pagare to a “t”. Pagate. K: By card is literally “with the card” – con la carta so how would you say, to a group of people “are you paying by card?” Literally – you (plural) pay with the card? M: Pagate con la carta? K: Next prendere. How would you get the plural “you”? M: Prendete. Change the “r” in prendere to a “t”. Prendete. K: So how would you say “are you all having a coffee?” literally: you plural, take un caffè. K: Next, aprire. How would you get the plural “you”? M: Aprite. Change the “r” in aprire to a “t”. Aprite. K: So how would you say “are you all/both opening the wine”? Literally, you plural, open the wine. K: Finally, the “they” form, as in “they speak” or “they sleep”. To get this form, for -are verbs, like pagare, we remove the -are and add “a – n – o”. So how would you say “they pay”? M: Pagano. Remove the –are and add a – n – o. Pagano. K: Now for the -ere and -ire forms are the same. We remove the –ere and -ire and add “o – n – o”. So how would you say “they take”? M: Prendono. Remove the –ere and add o – n – o. Prendono. K: They’re having a coffee? Literally: they take un caffè? K: And what about aprire. How would you say “they open”? M: Aprono. Remove the –ire and add o – n – o. Aprono. K: Phew! That was all the verb forms of the present tense for our -are, -ere and -ire verbs. M: But what about the 4th group, like capire? K: Right, so there’s another kind of -ire verb, like capire, that doesn’t follow the normal -ire verb rules. We like to call these the “-isco” verbs, because to make them, you have to add “isco”. For example, To say “I understand”, we remove the -ire from capire and add -isco. K: Let’s try with a different verb. Preferire, which means “to prefer”. How would you say “I prefer”? M: Preferisco. Remove the -ire and add “isco”. K: They prefer white wine? Literally: they prefer il vino bianco. M: Preferiscono il vino bianco. K: Now, to get the “you” form, as in “you prefer”, we do the same as we did for the “I” form, so we start by removing the -ire from preferire, which leaves us with prefer-. This time, to get the “you” form, we add “-isci”. So how would you say “you prefer”? M: Preferisici il vino bianco? M: Preferisici il vino bianco o il vino rosso? K: He prefers white wine? M: Preferisce il vino bianco. K: She prefers white wine? K: And we know this is also the same for the “formal you” for someone you don’t know very well. How would you say “you prefer” in the formal you? M: Prefersice il vino bianco? K: il vino bianco o il vino rosso? White wine or red wine? So how would you say “do you prefer white wine or red wine?” Use the formal “you”. M: Preferisce il vino bianco o il vino rosso? M: Preferiamo. Remove the “ire” from preferire and add iamo. Preferiamo. M: Preferiamo il vino bianco. M: Preferite il vino bianco o il vino rosso? K: A final word about these verb forms, don’t worry if you need to go over this a lot before it starts to make sense. That’s normal. No one hears this just a couple of times and just gets it. Repetition is a key part of language learning – you’ll need to come back to these forms many times, see and hear them being used and practice using them a lot yourself before they stick. So don’t worry, it’s completely normal that these verbs pose some memory challenges. Forza, you can do it! On our website, we’ve got loads of stuff that will help you remember the verbs in todays lesson. Importantly, there’s a set of flashcards that you can download, which are like little digital cards with English on one side and the Italian on the other – you look at the English side, which will say, for example, “we prefer” then you try to remember the Italian preferiamo. Then you can turn the card over and see the Italian side to check your answer. Over time, this will really help you remember those verb forms. You can also download these to your phone so that you can do it while you’re waiting in the queue for the supermarket. You’ll also find other handy resources like a quiz, so you can test your knowledge, a wordlist, so you can see the spelling, and a transcript of today’s episode. You can find all of this by going to joyoflanguages.com/italian-present-tense. Or you can head over to joyoflanguages.com, click on the Italian podcast section and scroll down to this episode.